Teamwatch - when you field a character who shares an affiliation with Red Skull, spin down all of their character dice one level or spin up all of your character dice one level (your opponent chooses). Teamwatch abilities reward you for having characters that share an affiliation. When a character with Teamwork is active and you field another character with the same affiliation, you’ll get a bonus. ^ Dice Masters KeywordsWizKids. Retrieved 22 November 2016. 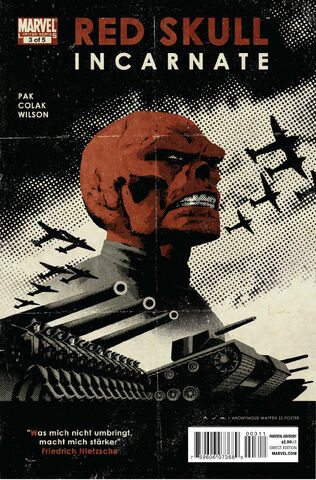 ^ Red Skull Vol 2011 #3. Marvel Database Wikia. Retrieved 26 July 2015.